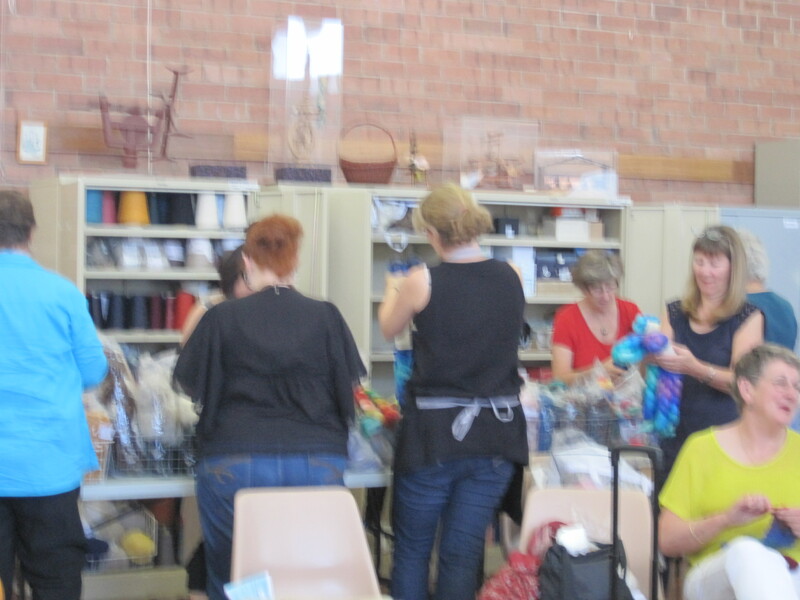 April Spinning Day with the Western Australia Spinners Weavers and Dyers Guild was lots of fun with a turnout of about 25 people. The day was warm and sunny, but not too hot. 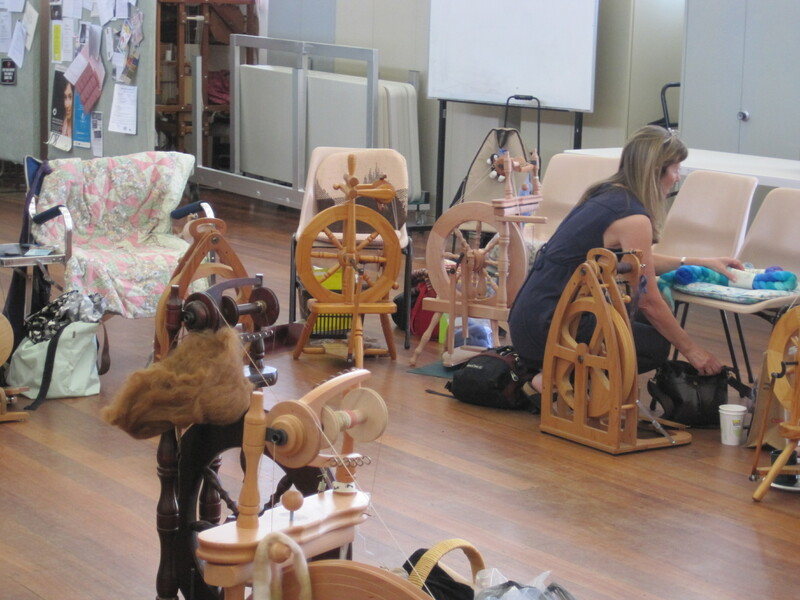 The group set up their spinning wheels in the hall, and we had fun spinning and visiting with each other. 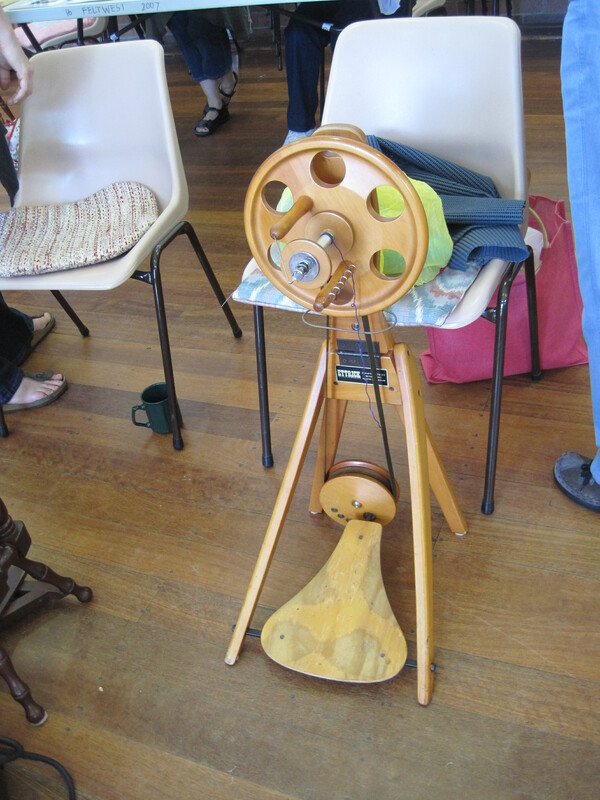 A good variety of wheels were seen in the room, but I was particularly taken with this unusual spinning wheel, owned by Janet. It was made in Tasmania, with local wood, very compact but still weaving at a comfortable height. Janet says it is great for camping in her compact caravan because it takes up very little space. It is called a wind wheel, because it makes no sound but the wind whistling through the holes in the wheel. It is one of the quietest wheels I have ever seen. A shopping frenzy broke out when the new supplies for purchase were set out by the yarn cupboard. 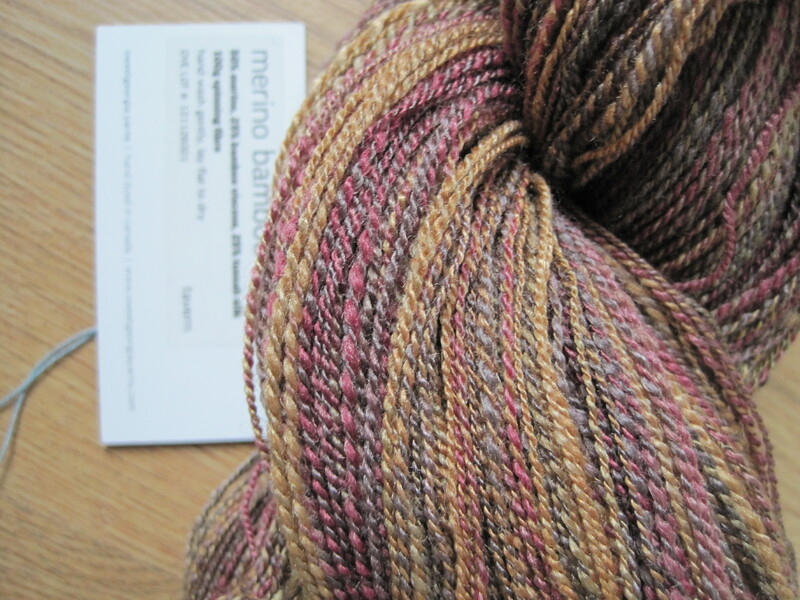 My own spinning has resulted in some lovely yarn. 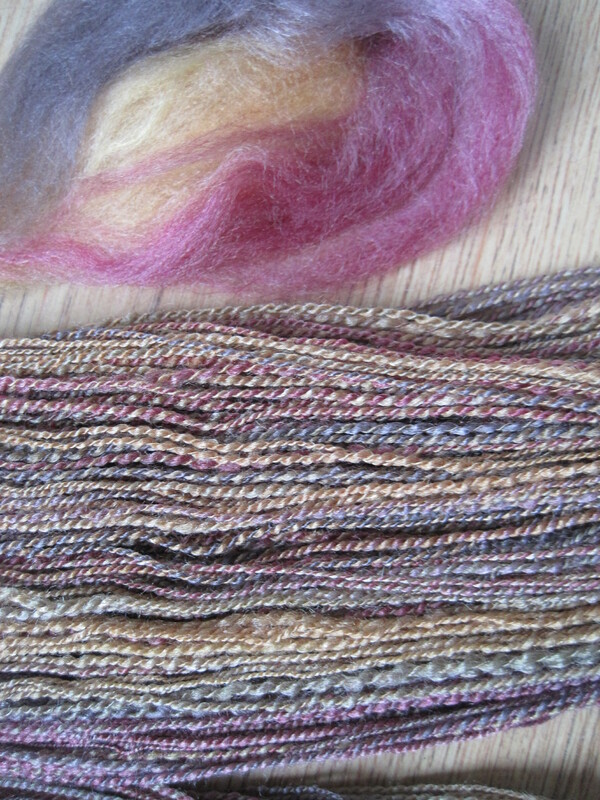 The yarn is a merino(50%)-bamboo(25%)-tussah silk(25%) combination from Sweet Georgia Yarns in the colour “tavern” with greened browns, rosy fuchsias and gold. 100 gms spun up to yield 602 yards, 20 wpi and 7 tpi. This entry was posted in Uncategorized and tagged Australia, Craft, Guild, Spinning, Spinning wheel, Tasmania, Western Australia, yarn. Bookmark the permalink.